8 It was by faith that Abraham obeyed when God called him to leave home and go to another land that God would give him as his inheritance. He went without knowing where he was going. 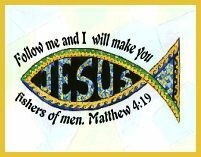 9 And even when he reached the land God promised him, he lived there by faith – for he was like a foreigner, living in a tent. And so did Isaac and Jacob, to whom God gave the same promise. 10 Abraham did this because he was confidently looking forward to a city with eternal foundations, a city designed and built by God. 11 It was by faith that Sarah together with Abraham was able to have a child, even though they were too old and Sarah was barren. Abraham believed that God would keep his promise. 12 And so a whole nation came from this one man, Abraham, who was too old to have any children – a nation with so many people that, like the stars of the sky and the sand on the seashore, there is no way to count them. 13 All these faithful ones died without receiving what God had promised them, but they saw it all from a distance and welcomed the promises of God. They agreed that they were no more than foreigners and nomads here on earth. 14 And obviously people who talk like that are looking forward to a country they can call their own. 15 If they had meant the country they came from, they would have found a way to go back. 16 But they were looking for a better place, a heavenly homeland. That is why God is not ashamed to be called their God, for he has prepared a heavenly city for them. And now for some definitions from Hyperdictionary.com . . .
As Christians we are to have an attitude of a missionary or a pilgrim. Hebrews 11:15 encourages us to never look back. 1 Chronicles 29:15 says: We are here for only a moment, visitors and strangers in the land as our ancestors were before us. Our days on earth are like a shadow, gone so soon without a trace. Psalm 119:19 says: I am but a foreigner here on earth; I need the guidance of your commands. Don't hide them from me! And I Corinthians 7:23 says: God purchased you at a high price. Don't be enslaved by the world. Remember, you're on tempoary assignment! 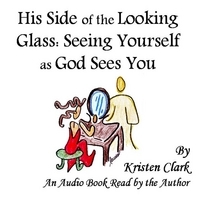 His Side of the Looking Glass: Seeing Yourself as God Sees You is a journey in shedding perception of self and encourages listeners to explore and deepen their relationship with God as they begin to see themselves as God sees them. Click Here for more information and to download the MP3. Are You Going Through Hard Times?